For Megan + Steve, celebrating their lifetime commitment and the bringing together of two families they wanted the perfect venue that would fit their theme of a truly Northwest inspired wedding. 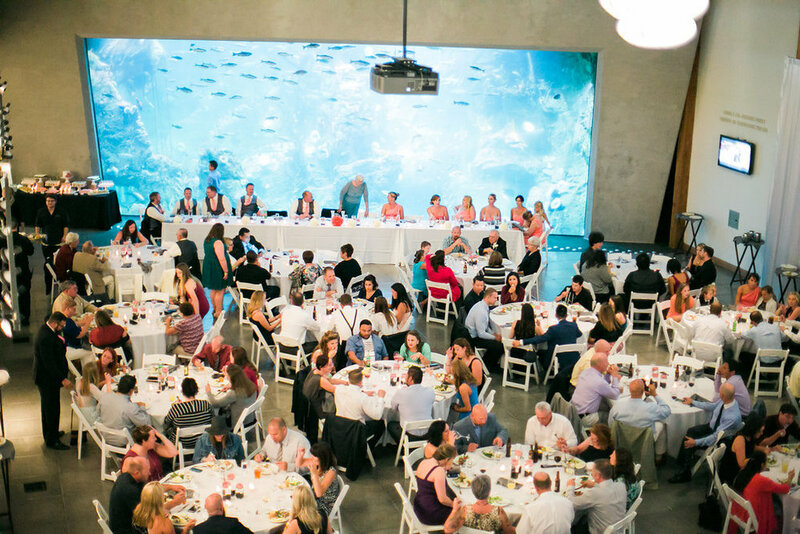 By bringing together their families from California and Idaho, the Seattle Aquarium was the ideal location. 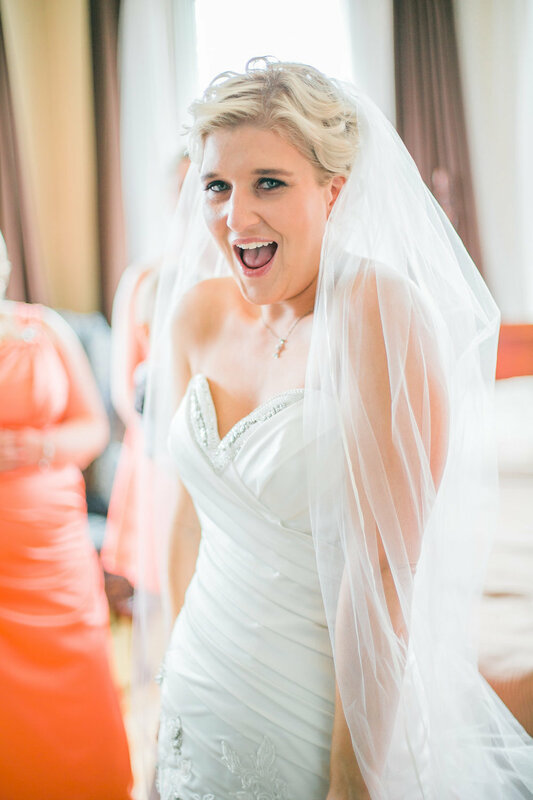 In working with these two incredible people, their main requirement for their wedding was FUN! Between walking through the exhibits during their cocktail hour, watching an otter feeding and the musically stylings of The Michael Benson Band, these two truly succeeded in every way possible. Not to mention the incredible dessert table by Dianne's Delights. 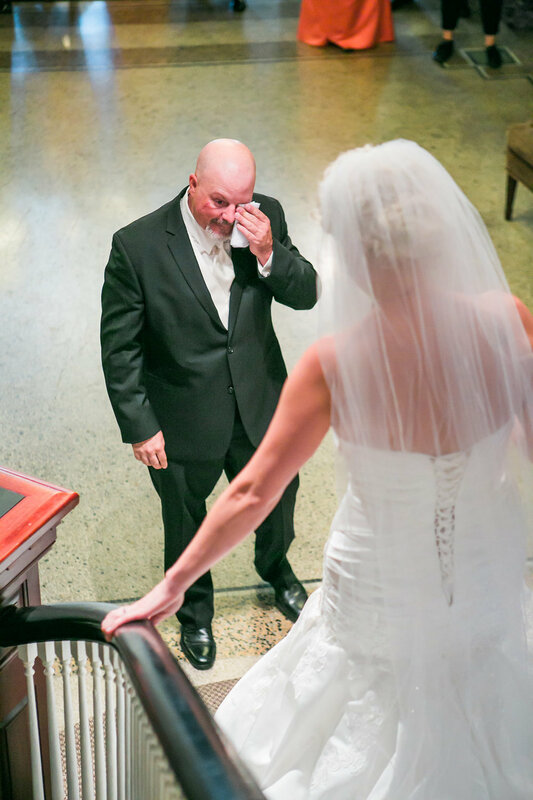 Between their emotional first look to their heartfelt ceremony performed by their friend Juan, anyone at this wedding could really feel just how much love was being shared that day and they were off to a great start as husband and wife. One of my favorite parts of the day was the entertainment provided by the fish inside the tank behind the head table. They were truly enthralled by the music and it was a show all in itself. The one challenge we did face was the City of Seattle waterfront construction right in front of the venue. To be creative and hide what was going on outside, Prop Gallery did a phenomenal job draping off the windows. It was the perfect accent to the river rock filled cylinder vases with coral florals. The addition of the gray napkins made the table really pop. Even though when the party ended at the Aquarium the after party was just really the start of the night for this fantastic group of people into the wee hours of the morning. 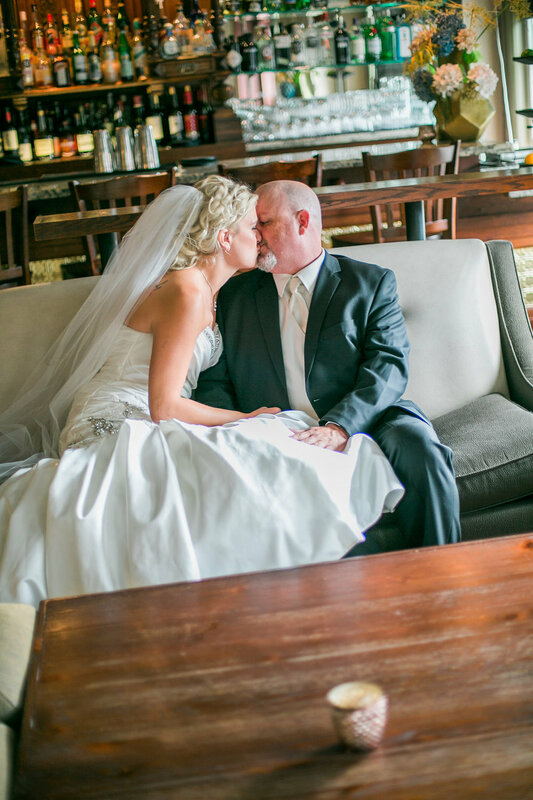 Just how this couple wanted, their day started and ended with fun.